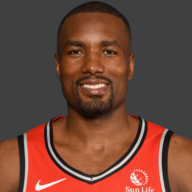 Ibaka had a nice possession or two, but mostly he couldn’t hold onto the ball, and even had a moment where he passed directly to a Wizard after securing a rebound. Just a lot of silly, simple mistakes. 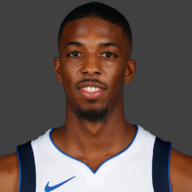 OG was once again one of the brightest spots in this game, blowing up pick-and-rolls, sticking to guys like glue, and snaking through the defense for a couple easy buckets off of nice cuts. Gortat fell on his ankle near the end of the third, and all of Toronto held their breath. Fortunately, he returned, but he’s likely going to be sore tomorrow. 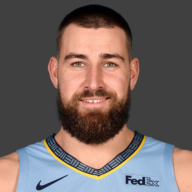 Valanciunas was good when the Raptors involved him in the pick-and-roll on offense, and by extension was more engaged defensively when they did so. But the Raps went away from that too often, and it didn’t help that JV got into foul trouble quickly. He wound up only playing 15 minutes. 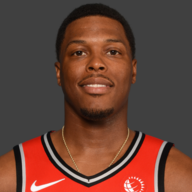 Lowry was solid. Not sure what else to say here, really. He was part of the lineups that made runs, and he played his heart out, per usual. 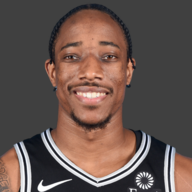 He was finally shooting well from three, too—couldn’t find your boy a look late, DeRozan? DeRozan had one of his strangest games to date. One moment he’d be trying to force a shot or pass that wasn’t there, and looking surprisingly clueless, and the next he’d be sending a Wizard into a fit of dizziness after hitting him with a spin-move and scoring. 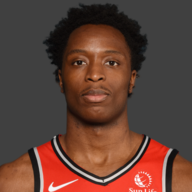 Unfortunately, he tried to take the game over the last few minutes (on a night where he wasn’t shooting well, no less), and every Raptors possession became, you guessed it, an isolation play. That’s not who the Raps are, and it was unnerving to see DeRozan go this route. Wright played well for the most part, his defense typically good and he made some shockingly tight passes for buckets under the rim. Where he faltered was on open threes, which he kept refusing to shoot. It’s hard to know why he did this—he hit one early in the game and ended the season shooting very well from distance. 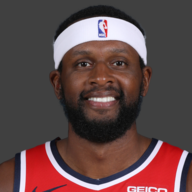 There’s no reason for him not to shoot those, and the Wizards will keep giving him those shots if they know he’s going to be hesitant. 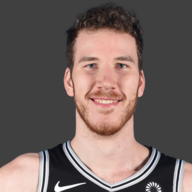 Poeltl didn’t really get going until the fourth quarter, when a few offensive rebounds really seemed to kick him into gear. But he played the entire time with energy, even if that energy did have him racking up fouls. He still seemed a little rattled out there, but his final few minutes are encouraging. Another tough night for Miles. The Wiz are seemingly getting in his head. He was covered all the way through Game 3, and tonight, even when he was open, he passed up shots, an act that resulted in multiple turnovers. 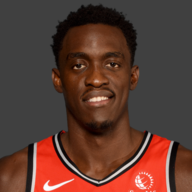 Siakam was great when guarding Wall in isolation, and his trademark energy became apparent in the run that the bench made with Lowry in the second half. But he was still having issues on the offensive end, driving into a lot of trouble without the normal crisp passing that unit feeds off of. You can’t pin any of this on Casey. None. I don’t want to hear it. He coached the game perfectly, tightening his rotation and sending the right lineups out at the right times, including more use of the Lowry + bench group. He also managed to work around all of the foul trouble expertly. It’s really unfortunate that he coached so well and the Raps still lost. Turnovers. Holy crap, when will this end? The Raptors weren’t a team that coughed up the ball a lot in the regular season, but they’ve been throwing it away at an astonishing rate in this series. Strangely, the primary playmakers—DeRozan especially—have been forcing worse passes when not being hounded by traps. This needs to be fixed immediately, because the Wizards are scary in transition and score on almost every opportunity in which the Raptors are pushed back on their heels without time to set. The score was 80–80 going into the final frame. The Lowry + bench group started the quarter strong, going on a run and forcing a Wizards timeout. After that, things slowly fell apart. When the game became tight again with just a few minutes to go, DeRozan decided to play hero ball. It’s the old clutch issues, rearing their ugly, monstrous heads. The Raptors NEED to stick to their identity, to play the style that got them to where they are. Run some pick-and-roll, get a shooter open, anything other than running a series of isolation possessions with the game on the line, especially when the player trying to score has had trouble shooting all night long. The Raptors stay shooting themselves in the foot. It’s on them to regroup and recover. 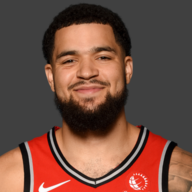 The Raptors are good enough to beat the Wizards without Fred VanVleet, but boy … They could really use him.